Last Week: The Ravens went to London and were thrashed 44-7 by the Jacksonville Jaguars. Pittsburgh meanwhile went into Chicago and was handed a 23-17 loss in overtime. TV: CBS Ian Eagle, Dan Fouts and Evan Washburn on the sidelines. Key Injuries: BAL: OUT: CB Jaylen Hill (Thigh), DT Brandon Williams (Foot), TE Maxx Williams (Ankle) QUEST: Benjamin Watson (calf) PIT: OUT: T.J. QUEST: S Sean Davis (Ankle), G Ramon Foster (Thumb), T Marcus Gilbert (Hamstring), LB James Harrison (Illness), S Mike Mitchell (Hamstring) Game-Time Decisions will be updated when available. 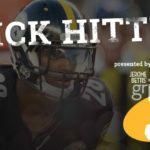 What You Need to Know: Prior to the Steelers’ dramatic win on Christmas Day, they had lost four straight and six of seven against the Ravens… Mike Tomlin is 3-7 all-time in Baltimore… Ben Roethlisberger is one 300 yard passing game away from his 50th such game… The Ravens have 16 players on the Injured Reserve list. What’s at Stake: Each team enters at 2-1 but the Ravens already have wins over division foes Cincinnati and Cleveland. A winner over the Steelers gives them a decided advantage in the AFC North race. For the Steelers, it’s an opportunity to right the ship and get a game up on the Ravens. Series Highs: Steelers Ben Roethlisberger 340 yards Nov. 2nd, 2014, Ravens Jeff Blake 336 yards Dec. 29th, 2002… Steelers Jerome Bettis 137 yards Oct. 5th, 1997, Ravens Justin Forsett 150 yards Oct. 1st, 2015… Steelers Plaxico Burress 164 yards Dec. 26th, 2001, Ravens Qadry Ismail 258 yards Dec. 12th, 1999. Last Meeting: Dec. 25th, 2016 Steelers 31 Ravens 27 at Heinz Field. Hammer the Middle. The Baltimore Ravens are missing arguably their best player in guard Marshall Yanda. His absence last week was noticeable and the Steelers must follow suit and take advantage. With the fairly immobile Joe Flacco at QB, the Steelers can set an early tone by getting in his face from the inside and then leave him to the wolves on the outside. With Javon Hargrave currently the Steelers’ most consistent defender and the return of Stephon Tuitt likely I see no reason why the Steelers won’t push the interior of the Baltimore line backwards. This isn’t just important on the pass rush. Getting penetration can also disrupt those stretch plays that Chicago ran so well and Baltimore will attempt too. Left Side Must Stand Tall. That’s easy for Alejandro Villanueva to do right? In this case it’s both literally and figuratively. Baltimore has targeted Villanueva and Ramon Foster significantly more than they have Marcus Gilbert and David DeCastro and that is likely to continue Sunday. With all of the talk of Villanueva centered around the Anthem issue, what’s been lost is his very average play. Throw in the likely absence of Foster due to injury and you’ve got a ripe situation for the Ravens. Whether it’s Foster or B.J. Finney, Villanueva must communicate with his teammate. The Ravens will throw possible stunt they can at the their side of the line so being able to handle those is key to a successful offense. 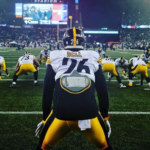 [UPDATE]: Ramon Foster claims he will play on Sunday. The Time is Now Ben. I’m tired of hearing about road woes. I’m tired of hearing that he takes responsibility for a loss. I’m tired of losing in Baltimore. I know that Big Ben can’t overcome the nonsense of Todd Haley all the time but it is time he puts together a performance worthy of a future Hall of Fame Quarterback. The best way this can happen is to get the no-huddle offense going immediately. Big Ben has been streaky of late and why not get him into rhythm sooner rather than later? It’s really a simple formula; when Roethlisberger plays well against the Ravens the team wins and when he doesn’t the team loses. The time is now. Predictions The SCB Crew is chiming in this week with their selections! Everyone is 2-1 so far! 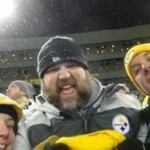 Is It Unfair to Ask the Steelers to Score 30 Points Per Game?